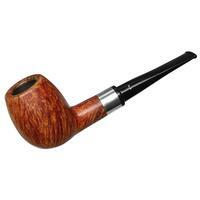 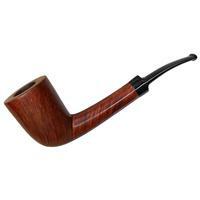 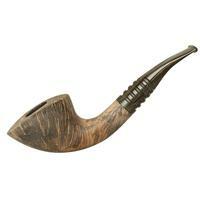 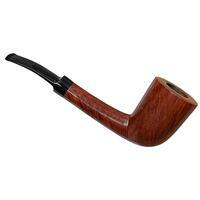 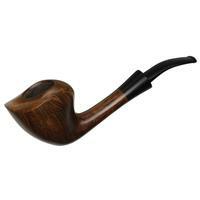 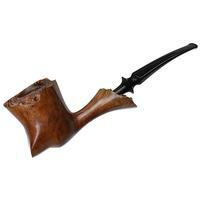 This bent Dublin exhibits the same graceful sense of flow as many of Peter Klein's pieces, combining said style with a streamlined combination of fluid, tapering shank and easily downturned saddle stem. 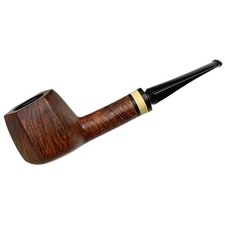 The transition is especially tight, and the grain, though understated, is nothing to sneeze at. 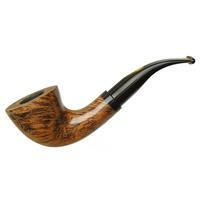 There's some minor rim darkening, and some small scratches and dings around the bowl, but otherwise condition is good. 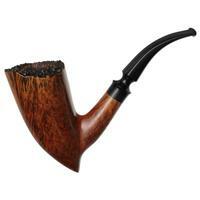 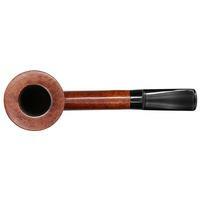 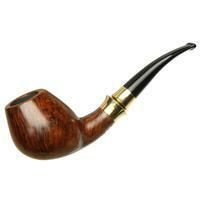 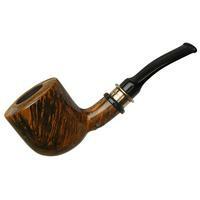 Bowl Height: 2.27 in./57.66 mm.